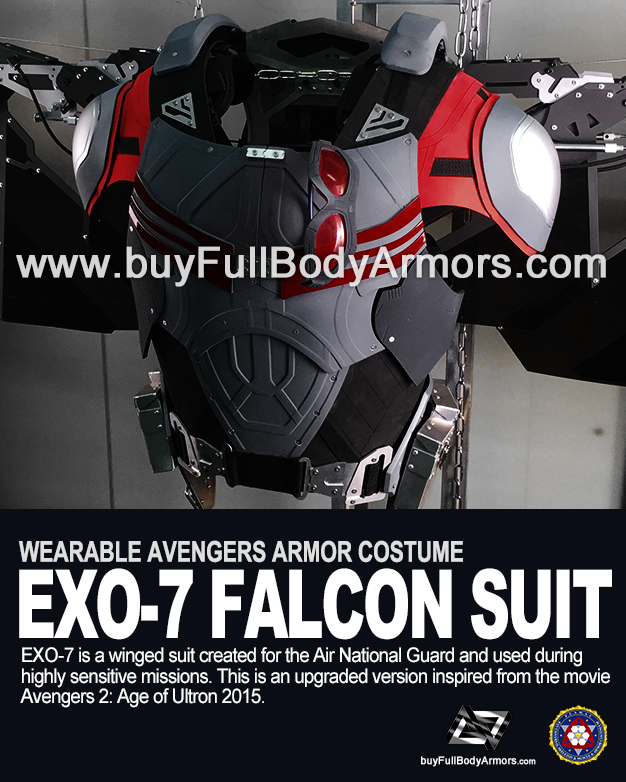 the Wearable Avengers EXO-7 Falcon Suit Armor Costume is finished. This is an upgraded version inspired from the movie Avengers 2: Age of Ultron 2015, Ant-Man 2015 and Captain America: Civil War 2016. 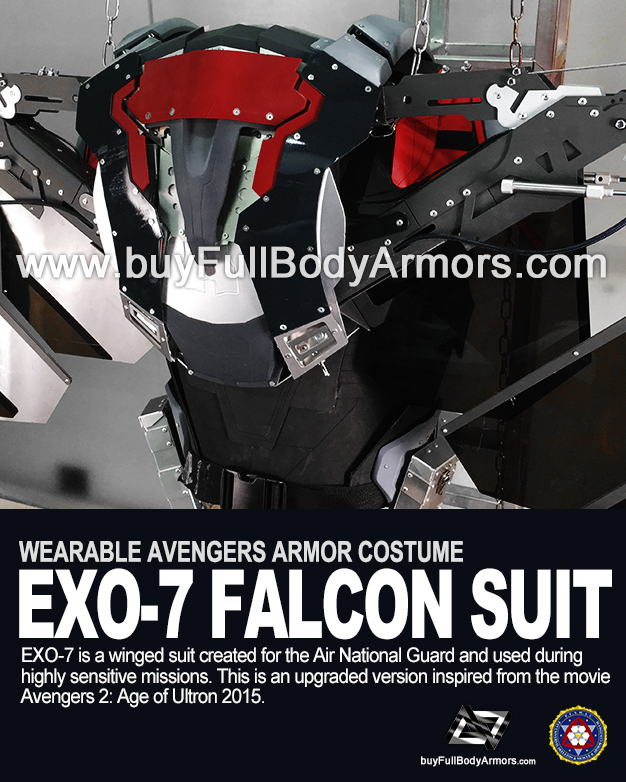 It will definitely be the most outstanding costume in any cosplay and comic-con events and parties. Following are the chest armor and back jet pack. 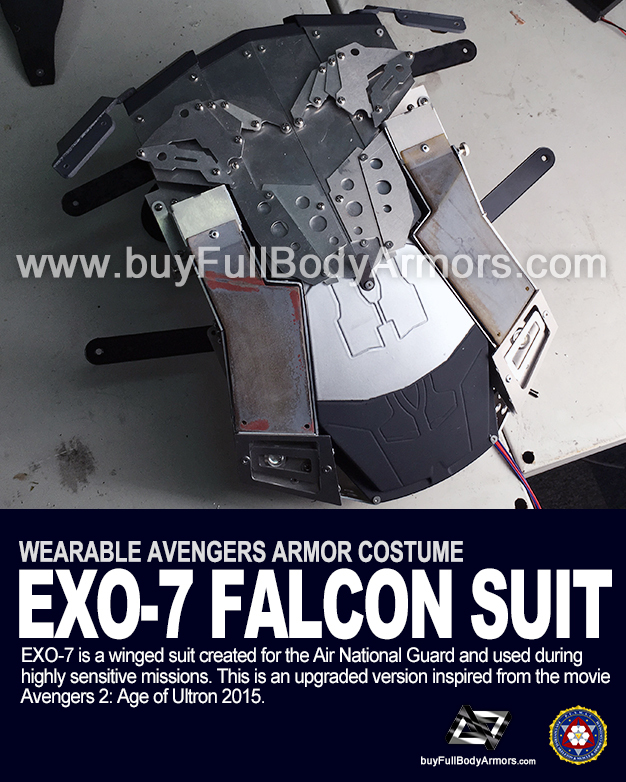 This entry was posted in News,Falcon Suit Wearable Armor Costume R&D Milestones,Falcon Suit Wearable Armor Costume R&D Full History and tagged on Jul 07,2017.